Part 1 of the trailer analysis for Doctor Who Series 7 B. The following parts will be posted later tonight. Analysis will include speculation, spoilers and confirmed details. As usual all frames below are taken from the HD recording of the trailer by PCJ and can be clicked for larger versions. A huge visual effect shot of an alien rollercoater/themepark world. 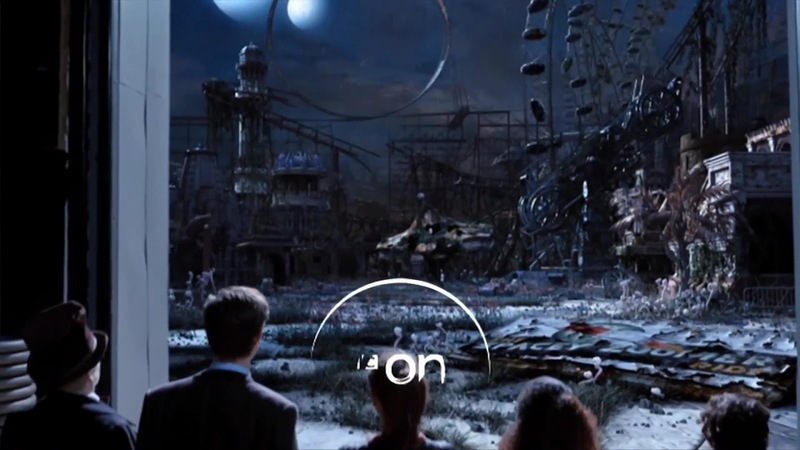 It appears to be deserted and damaged Judging by the characters below the park I would say this is from episode 12, The Last Cyberman. 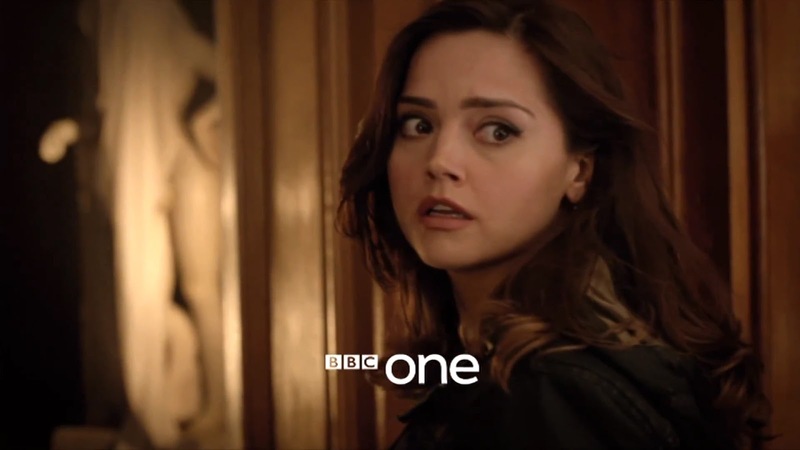 A view of Clara from either episode 9, Hide, or episode 11, The Crimson Horror (unconfirmed title). Most likely from episode 9. Not very much to say other than talk about the white statue behind, which appears in the BBC America trailer too. 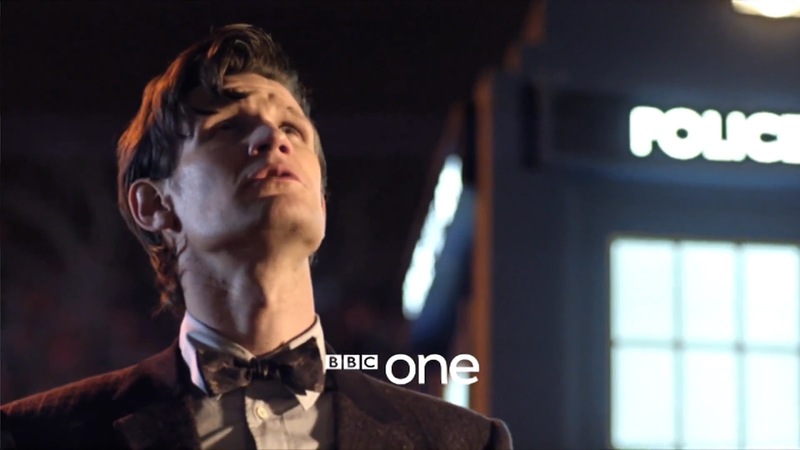 The Doctor from episode 6, The Bells of St. John, outside Clara's house that shes working at, Later we will see her exit the house with a cup of tea, and have a sit down with the Doctor. 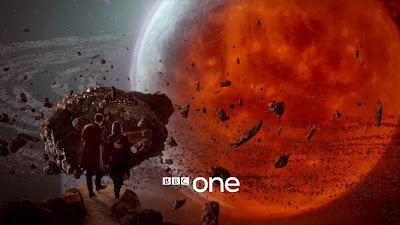 The Doctor and Clara are stood on some rock, looking onto another huge chunk of rock, surrounded by a huge sun, later in this episode the Doctor will comment how "has seen bigger", and then after a prompt from Clara, say he was "joking, it's massive! ", from episode 7, The Ring of Akhaten. 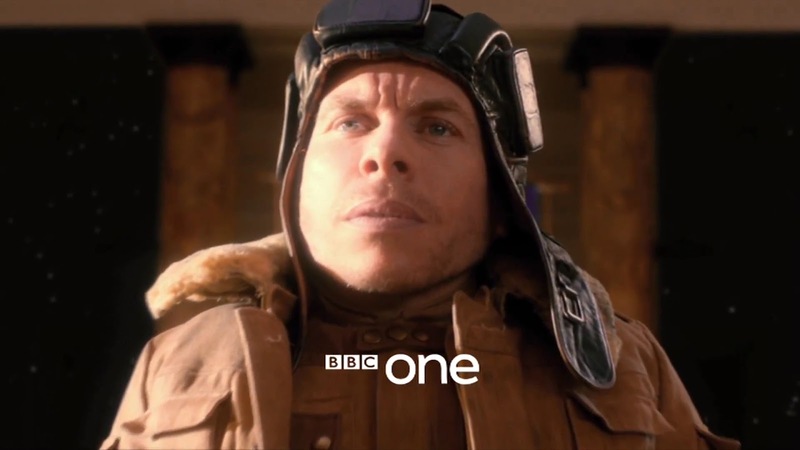 Warwick Davis, playing his character Porridge, a pilot from episode 12, The Last Cyberman. 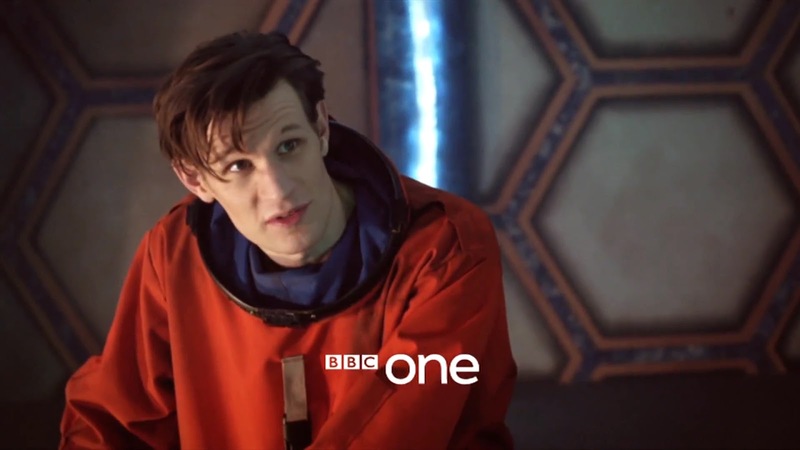 He is known to be on the same mission as Clara at one point, and helps against the Cybermen. The Doctor is seen sporting either the SB6 Spacesuit worn most recently by David Tennant in The Waters of Mars, or a NASA spacesuit. Either way - he's wearing it inside the TARDIS, preseumably from either episode 10, Journey to the Center of the TARDIS or The Rings of Akhaten.